Cut the cards and give each pair a bingo card. 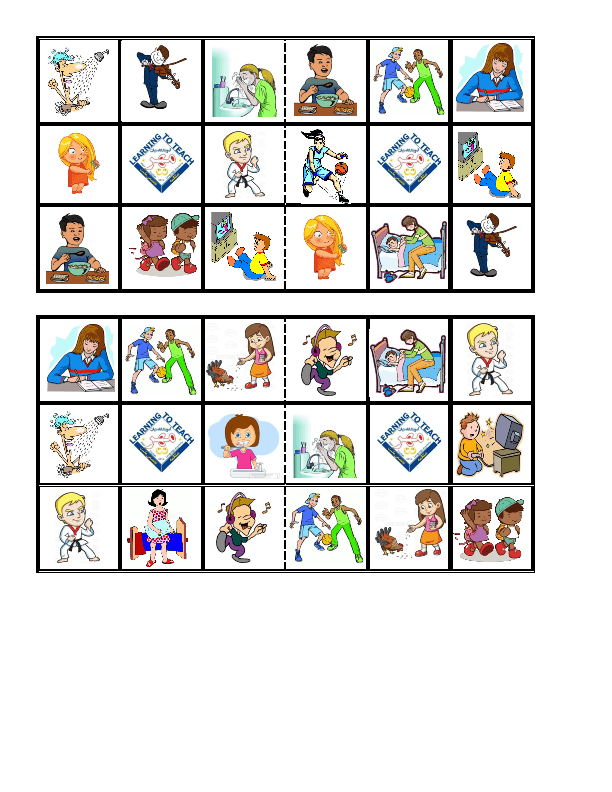 Name the activities randomly and students cross them out of their card. When they cross all the activities out, they call out Bingo. The first team to finish is the winner. Hope it helps.